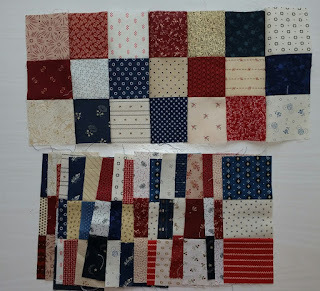 As promised yesterday, below is another teaser of the quilt I am making for Sunshine Quilt Guild Challenge. 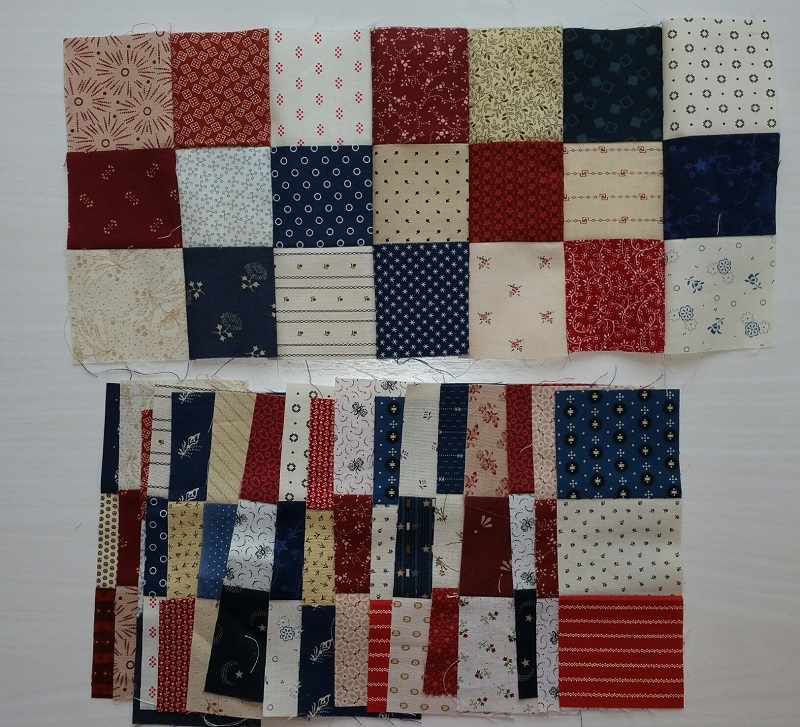 The finished quilt will be posted after May 10th. Here is one of the borders that goes around the center. The next border is a checkerboard, pieces are below. 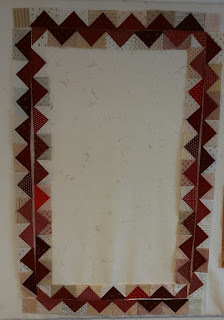 Hope to have this finished and on the longarm later this week. That's it for this week! See more design walls at Patchwork Times. Yes, you are a big tease, can't wait to see it all together. Agreed...she is a big tease. Good luck in the challenge.